This concise guide delivers all the practical information you need to care for children and their families in diverse settings. It clearly explains what to say and what to do for a broad range of challenges you may encounter in clinical practice. Youll examine the anatomy and physiology of body systems along with common childhood conditions and disease processes, including critical nursing assessments, signs and symptoms, treatment procedures, laboratory work-ups, medications, and other important aspects of care. 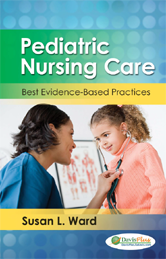 Strategies for advocacy, effective communication techniques, identification of potentially life-threatening issues, and advice from experienced pediatric nurses guide you every step of the way.